We were sent some of the items included in this gift guide to help with creation of this post. With Christmas rapidly approaching and two children, you can bet I’ve been thinking all about the presents I will be getting them. With Jack’s birthday in early December and Olivia’s in early January too, it is an expensive time of year for myself and Steve so I need to ensure the gifts are perfect. Here are some gift ideas for the children in your life. 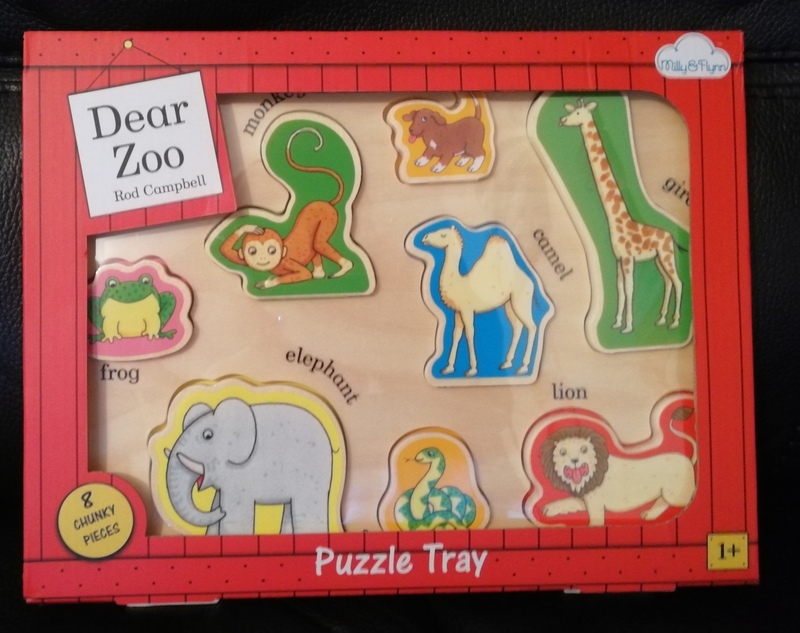 Young children always enjoy puzzles and jigsaws and this Dear Zoo Puzzle Tray from Milly & Flynn would make a great gift for a child over the age of one. Olivia has been loving this with eight chunky pieces, trying to fit them in the right place and learn the different animals. She keeps making the noises that each of them make too, which is super cute. This has an RRP of £12 and is available at Jojo Maman Bebe. Want to make Christmas even more exciting? 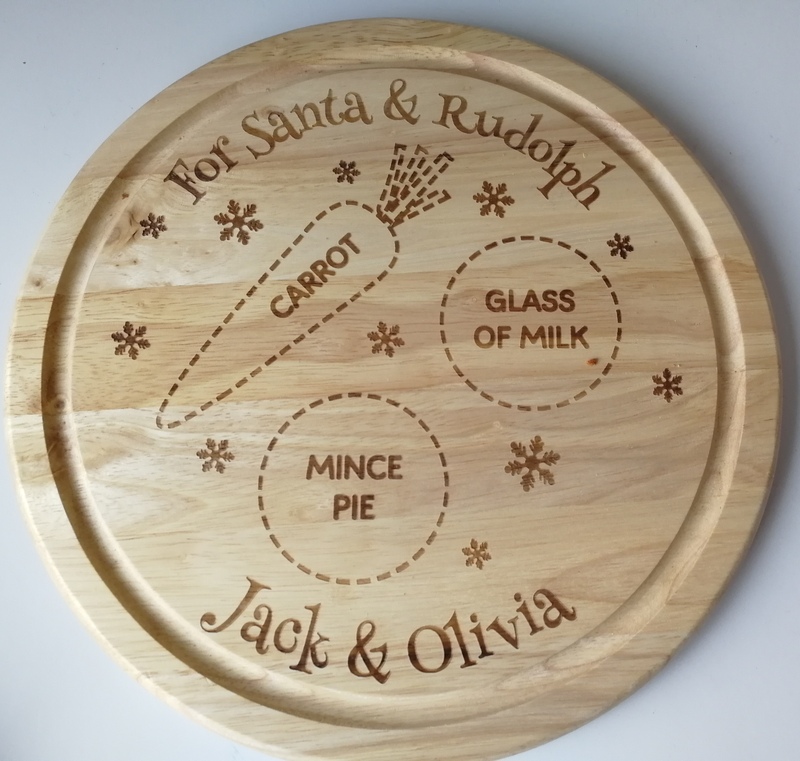 This personalised Christmas Eve Round Treats board (£17.49) from Personally Presented is absolutely beautiful and lovely to put out on Christmas Eve for Santa and Rudolph’s treats. Jack was ever so excited when he saw this and can’t wait to put the treats out over the festive period. Due to the personalised nature of this gift, you’ll want to get your orders in asap so don’t delay! Jack is big into football right now and so often needs football boots. 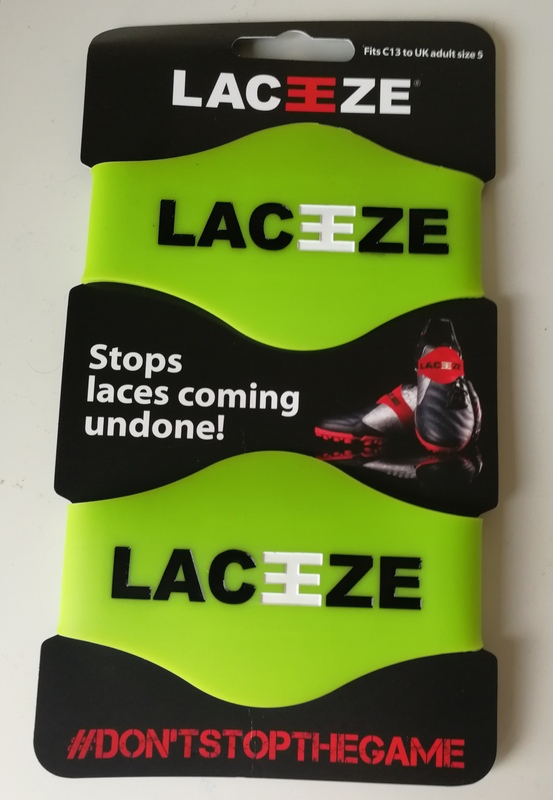 He’s not very good with his laces so these Laceeze bands are a brilliant gift option for the discerning footie player. They make the perfect stocking filler and are also great for anyone who plays a sport which requires laces. Jack’s are perfect for his weekly footie practice and I’ll certainly be getting some others for other family members! 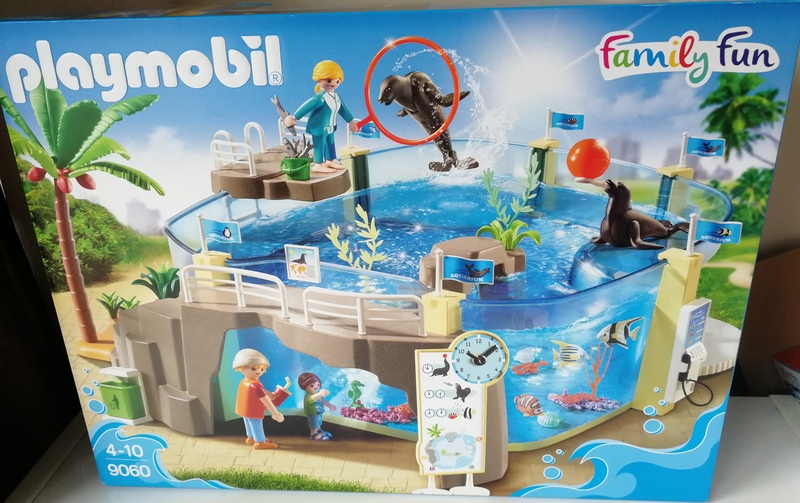 Playmobil is always a popular choice in my house and this Aquarium for ages 4-10 is a great gift idea. Retailing at £49.99, it is a great main or secondary gift for the child in your life and will provide hours upon hours of fun. There are a vast variety of fantastic playsets in the Playmobil range that are perfect for Christmas gifts so do be sure to check them out – you’re bound to find one perfect for the child you are looking to buy for! Do you have a bookworm in your family like my Jack? Then why not consider a personalised book from In The Book?? They have an extensive range of books to choose from and it really will give a special touch to their gifts. 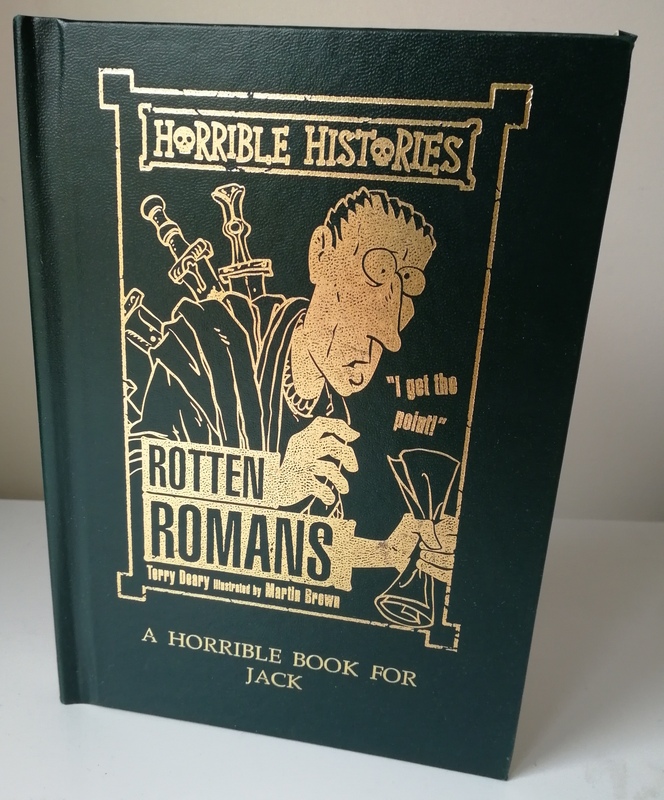 Jack is obsessed with Horrible Histories and has been for some time so the opportunity to get a book personalised for him couldn’t be missed. He loves it and shows everyone that comes in the house. I’m currently considering picking one for Olivia too as I believe it to really be a lovely gift idea as it has that personal touch. Does your child love science? Then a monthly subscription to Letterbox Labs may be the perfect gift – let them experiment away under your watchful eye! 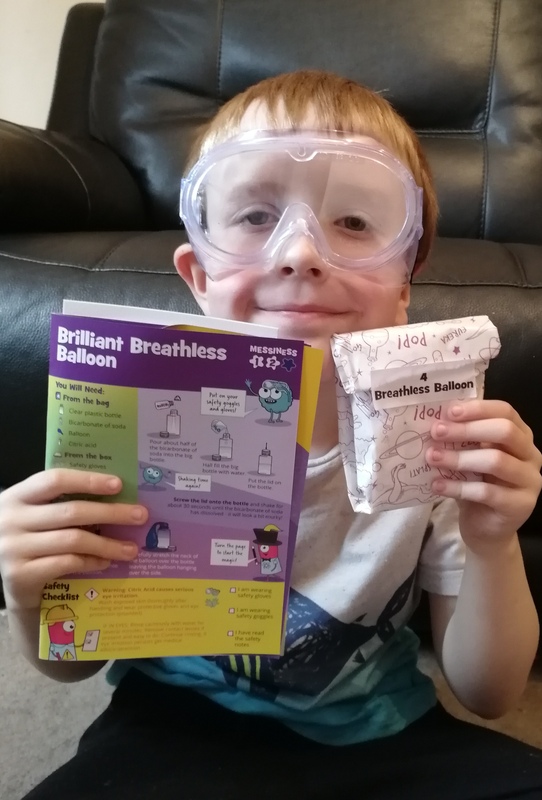 Jack had great fun trying out different experiments from the box he was sent – full review coming soon! Something that all the children in the house can enjoy is something like this fantastic Extreme Lounging Mini B Bag. We were kindly sent one for the purpose of this gift guide and it’s perfect – the size is just right for both the children to sit on it if needed but also perfect for just the one of them. 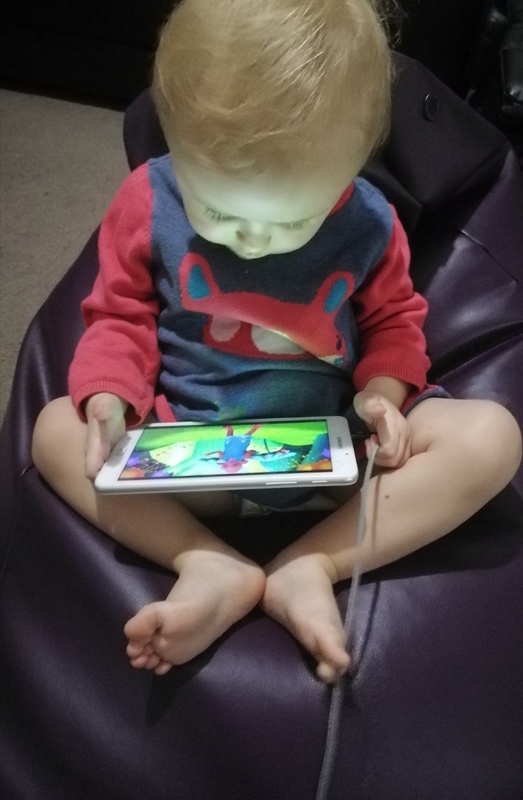 When they have tablet time, they love sitting on it and chilling out and have barely been off it since it arrived – watching films together, reading books. It would make a great joint present for all of your children, no matter how many there are. As you can see, Olivia definitely makes herself comfortable, haha! Now if you’ve got sons anything like mine, then they’re probably really into robots and robotics right now. Jack is desperate for a robot and I am considering Botley, the coding robot. 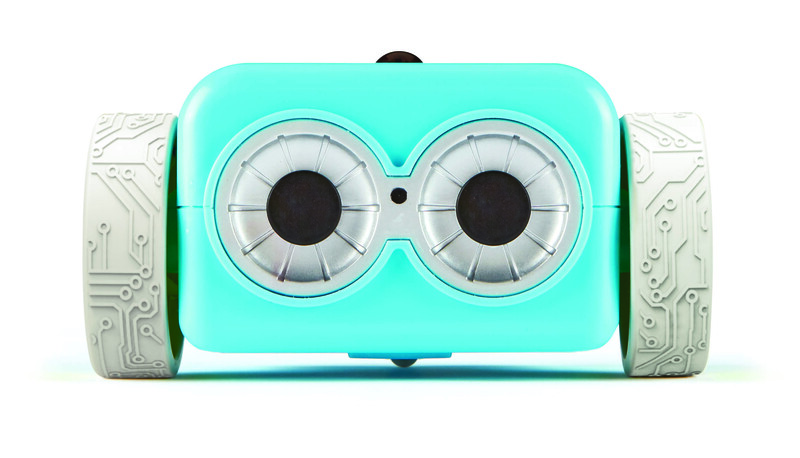 Not only is he super cute but he helps children to learn coding in a really fun way! 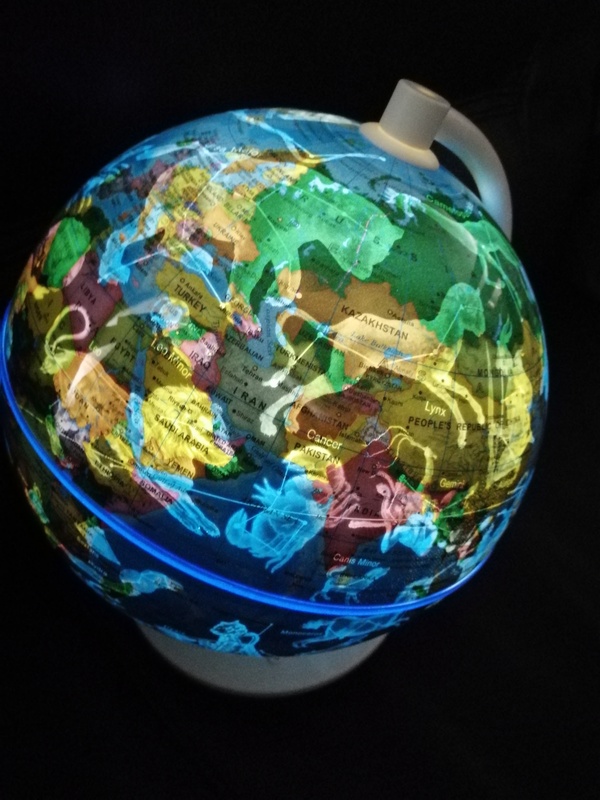 The Oregon Smart Globe Myth is a great gift idea if your child loves to learn. It has numerous features and is spectacularly beautiful. Be sure to click the link above to check out my full review. Does your child love building things? Check out my full review of these Strictly Briks products as they are a great gift idea for the construction expert in your life and are super affordable too! Finally, this gift is perfect for little ones. 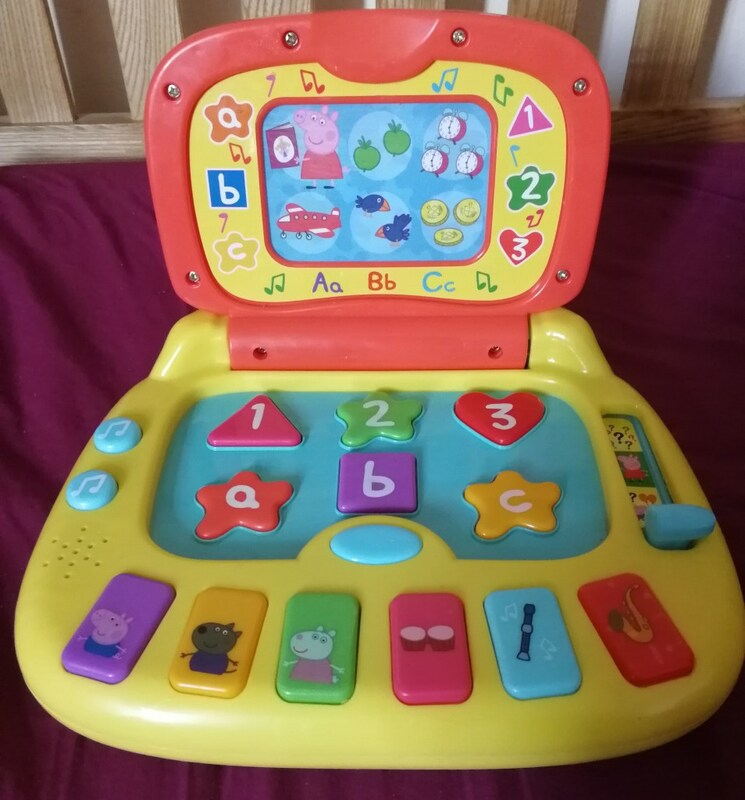 The Peppa Pig Laugh & Learn laptop is one of Olivia’s favourite toys and she’s always playing with it, pretending to use it just like Mummy uses her laptop. 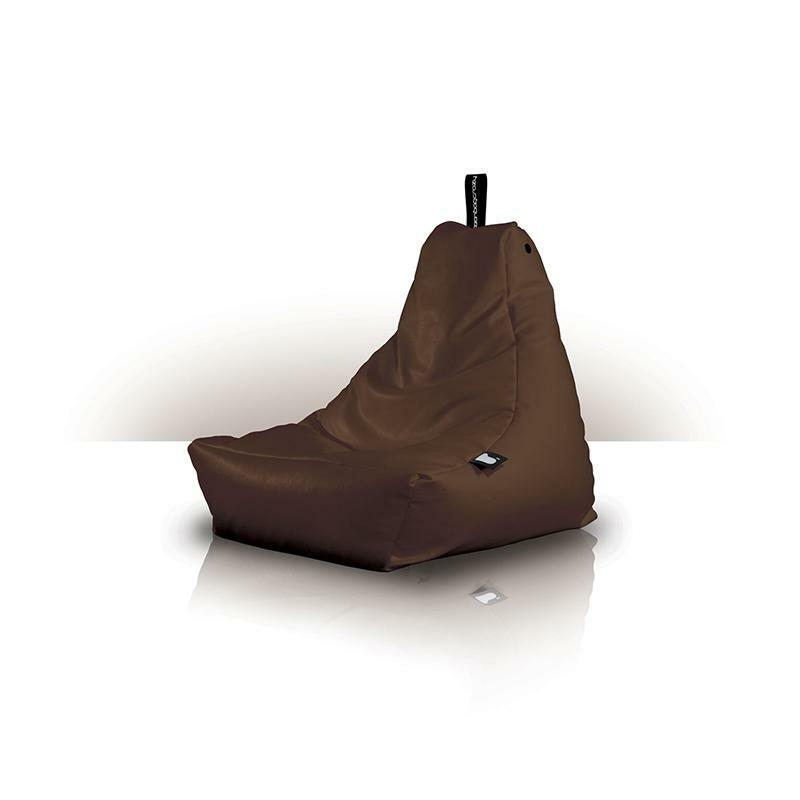 It is great quality, not too loud like some toys and affordable too. Definitely worth considering for Christmas. 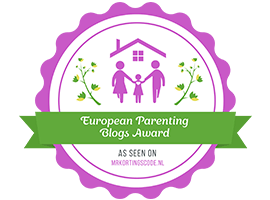 So here you have my gift ideas for children for 2018. Do you find shopping for children easy or hard? There are some great ideas there – the mini bean chair looks amazing, as does the little coding robot!! I love these ideas. We have a Smartglobe Myth too and would definitely recommend. That personalised Horrible Histories book is genius! My son would LOVE that, thanks for the inspiration! Those are some great Christmas gift ideas for kids. They will surely love all of these, especially my son he would love that learn laptop.